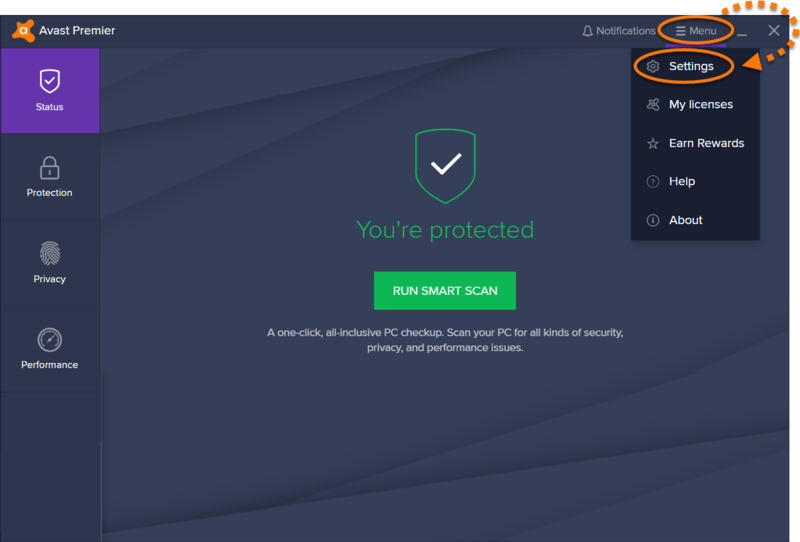 In Avast Antivirus, various program components contribute to the overall protection of your PC. Certain components are installed by default while others can be added during advanced installation. You can manually install or uninstall components at any time, however, we do not recommend uninstalling components unless it is necessary for troubleshooting purposes. 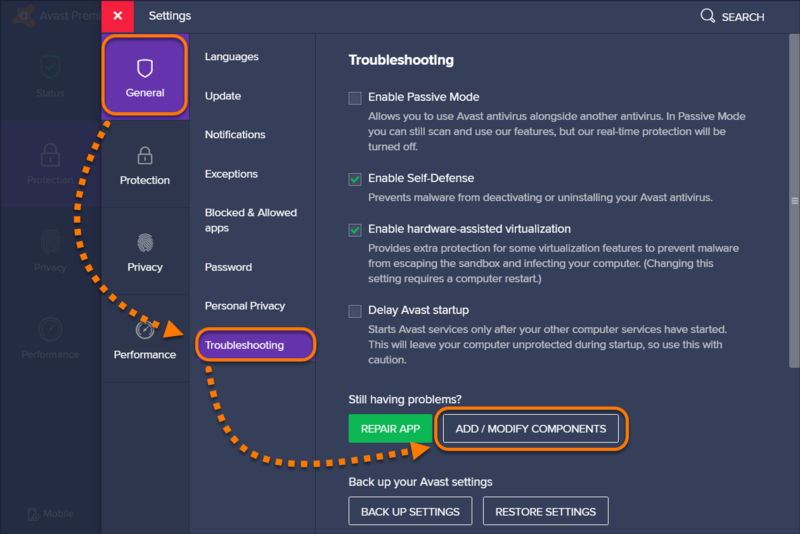 Open the Avast user interface and go to ☰ Menu ▸ Settings. Select General ▸ Troubleshooting ▸ Add & Modify Components . Tick the box next to components you want to install, untick the box next to components you want to uninstall, then click Change to confirm. 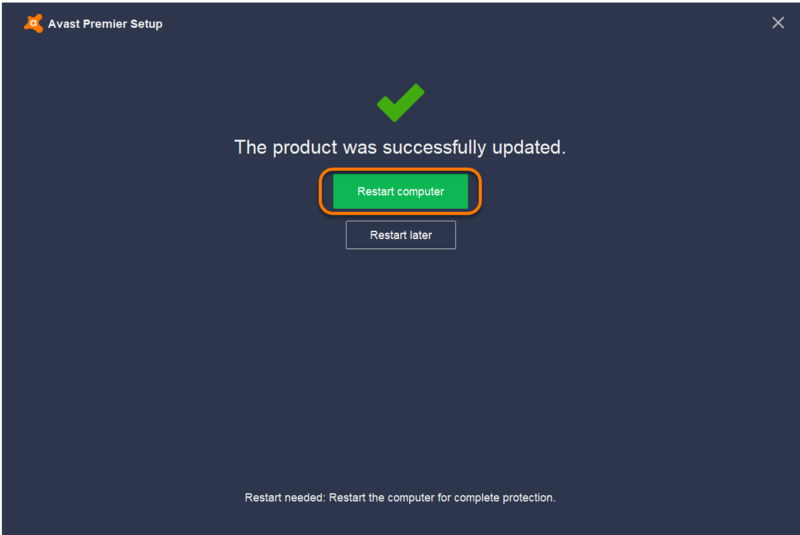 When the update is complete, click Restart computer. 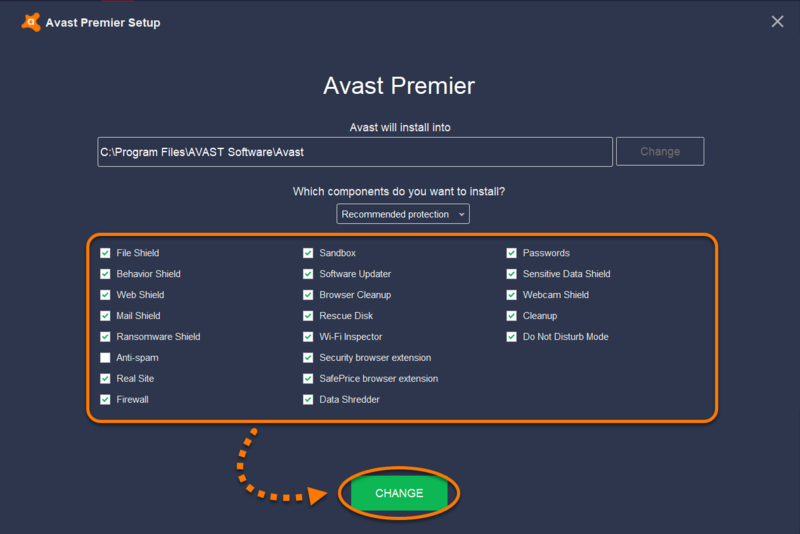 Avast components are now updated. Open the Avast Antivirus Setup Wizard. 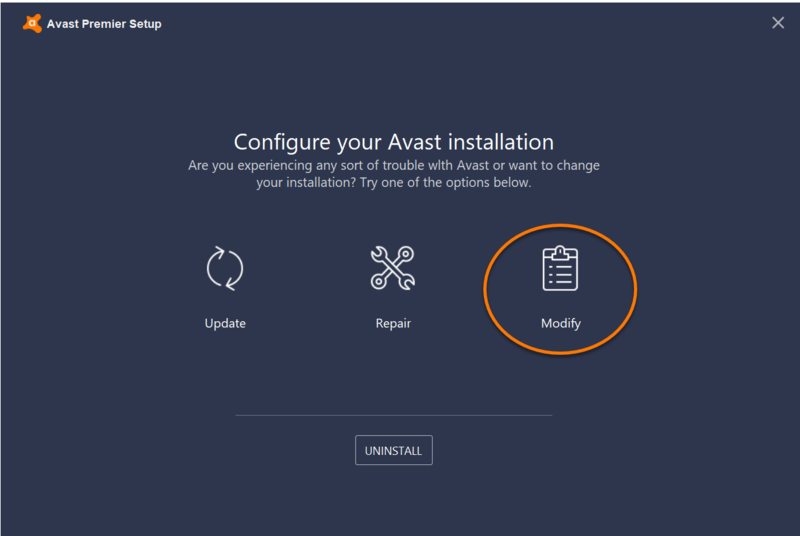 When the Avast Setup wizard appears, click Modify.